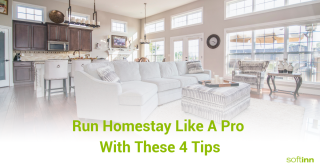 Running a vacation rental or homestay business may sound pretty simple, but not every time hosts will be blessed with cooperative, kind guests that leave them headache free. More often than not hosts have to deal with all sorts of unpleasant situations involving their guests. Just like the saying better to be prepared than sorry, taking some pre-cautionary steps won’t hurt, in fact hosts should consider to implement these four things for their homestay business. If you think it’s not nice to impose a security deposit on your guests, we suggest you to think again. Your homestay is your property and you don’t want the guest to trash your place let alone to create any damage. Asking for a security deposit will add another level of protection to your property. It also creates a greater sense of responsibility in the guests to take good care of your place. Although you’ll have probably screened your guests, it is highly important to collect photocopy of guest ID / passport number. It’d be best if you could print out the booking confirmation ticket, jot down their ID and get them to drop their signature. By doing this you will have a proof that your guests did in fact stay at your place. This might sound unfamiliar and a lot of work, but there are cases where guests file a credit card charge-back in order to obtain refund although they have stayed at your property. Should case like this happen to you, you will need to have a proof of the guest stay to defend the charge-back. You can also create a list on how to operate your air conditioning system, security system and more. This way at least you will reduce the number of times your guests have to contact you to ask questions. This is perhaps most often overlooked by homestay owners but can be considered the most important for your business. Listing your homestay on Google Map is not hard at all. In fact, this is the first thing that you should do when your homestay is ready to host guests. When your homestay is listed on Google Map, it makes it easy for your guest to find your property by searching for it by location. Do you find these tips helpful? Try them out and let us know. If you love them, don’t forget to share this post with your friends and if you have experience to share, feel free to leave us a comment below!